Conventional wisdom told us for decades that video games are either a) only acceptable as a limited diversion for kids or b) dangerous wastes of time that develop violent tendencies. Funny thing has happened, though, as we’re now well into the second generation raised on video games becoming parents: The world hasn’t come crashing down around us—not when Gen X wasted hours playing Tetris in the early 90s…not when the XBox debuted…not when even grandmothers started playing Candy Crush in line at the grocery store. So, what’s the real deal? Video gaming hasn’t caused the collapse of our society. Sure, it’s possible to play too much. You could even argue that a few games have no redeeming value. But what about the majority of games? What do we get from them? Improved reaction time: Any game requiring quick hand-eye coordination or quick reactions can make a difference. Strategy: Chess is great for strategy online or off, but many other games have deep storylines with complex plots. If players are required to think several steps ahead and then suffer the consequences (or the benefits!) of their actions, the game is honing mental skills. Collaboration: The lone gamer stereotype just doesn’t play out anymore, with games from Candy Crush to Minecraft to many more offering or requiring teamwork and collaboration to succeed. Critical thinking: Many games require you to consider multiple options, evaluate the best choice, and get yourself out of complicated problems. These skills transfer to the real world, too! 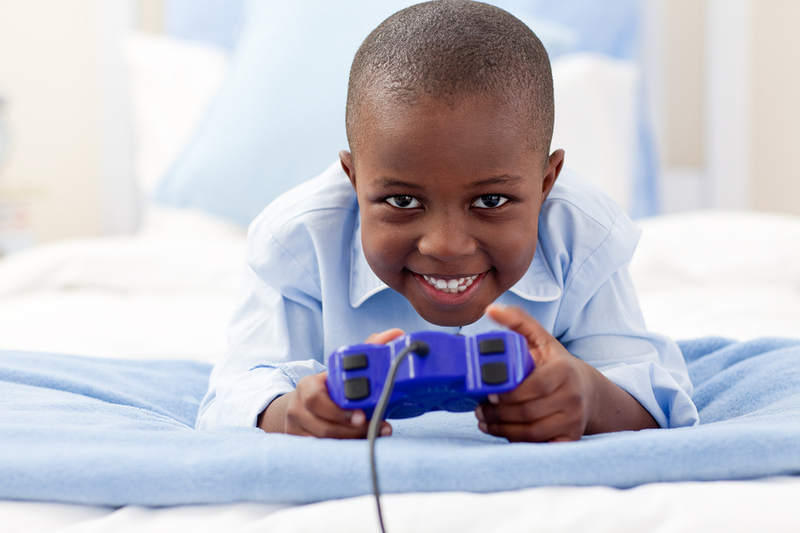 As with any technology, parents should teach kids about responsible use of video games. Set limits for when and where to play, and make sure you know the details of the games your kids are interested in, just like you do with the TV they watch or the YouTube channels they subscribe to. But don’t worry that gaming is rotting your kids’ brain…chances are, gaming is actually helping your kids learn!